Ishawna might be taking some shots at Yanique Curvy Diva as the Marlon Samuels saga drags on. 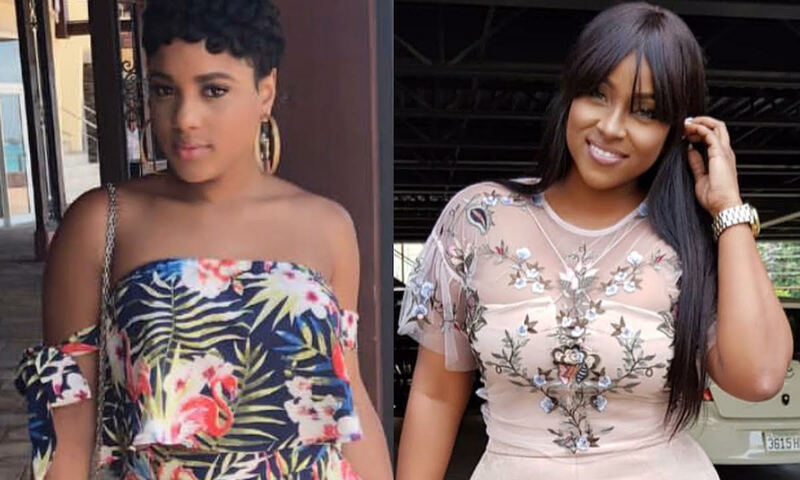 Yanique Curvy Diva and Marlon Samuels have been going at it in the media and online for the past month and even going as far as threatening to sue each other. Ishawna gave the West Indies cricketer some strength recently when she cast him in her music video “Instaboy.” Interestingly, Curvy Diva left a comment on Instagram giving the video thumbs up, but seems a feud has been brewing behind the scenes between herself and Ishawna. Sources told Urban Islandz that the two female dancehall deejays hate each other and regularly drop shade on social media. “Some females can put up a front but we all know Ishawna not into that and Yanique know Ishawna no like her,” sources said. Last weekend, Ishawna posted a video of herself on social media telling an unnamed female that she is aware that she is stalking her social media pages and going through her Instagram Stories. “I see you B***h, all up in my stories h*e…. you think I’m not gonna see you? You think Ishawna don’t have time to search her stories?” she said. Then there was this performance in St. Maarten recently.